Mexican Americans are Americans of Mexican ancestry. They account for 9% of the country's population: about 28.3 million Americans listed their ancestry as Mexican as of 2006. They form the largest Hispanic or Latino group in the United States and contain the largest group of White Hispanics. 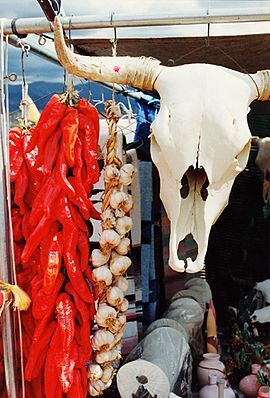 Mexican Americans trace their ancestry to the modern day country of Mexico or the Southwestern United States. Most Mexican Americans live in the four states that border Mexico, California, Texas, Arizona and New Mexico. 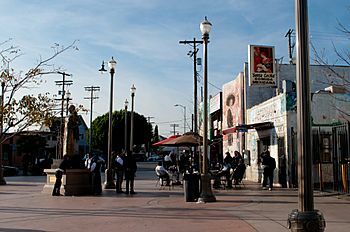 The areas in and around Los Angeles is home to over six million Mexican Americans. Many of these live in mainly Hispanic neighborhoods such as East Los Angeles. 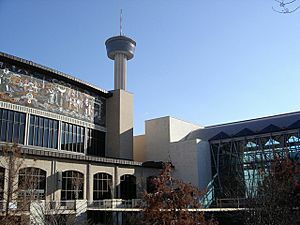 There are also a number of large Mexican American communities in other areas of the Western and Southwestern United States. 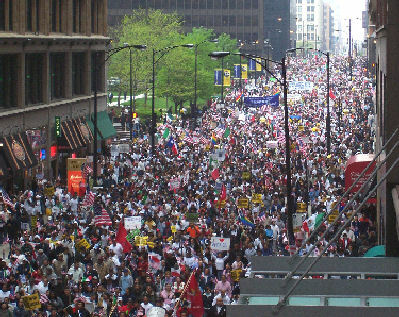 Though Chicago is not in the Western or Southwestern United States, it has 1.4 million Mexican Americans, more Mexican Americans than any city except Los Angeles. The metro areas of Dallas, Houston, and Phoenix each have more than one million Mexicans. There are a growing number of Mexican Americans in the Midwest and South. 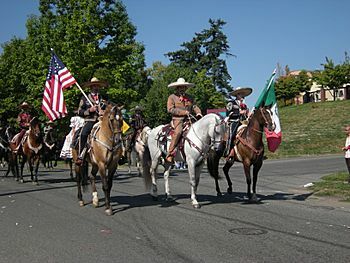 Most Mexican Americans are "mestizos", or of more than one ethnicity. 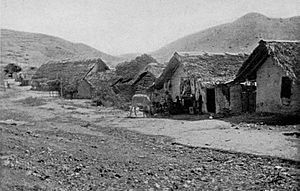 Most of their heritage is the indigenous indios of Mexico, but it often contains other groups, such as Spanish, Italian, Irish and Native American tribes from the U.S. such as Apache. 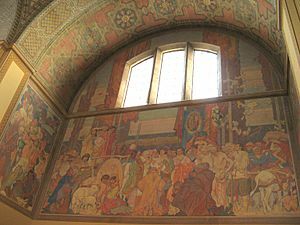 While Mexican Americans were once concentrated in the Southwest: California, Arizona, New Mexico, and Texas; during World War I they moved to industrial communities such as St. Louis, Chicago, Detroit, Cleveland, Pittsburgh, and other steel-producing regions, where they gained industrial jobs. Like European immigrants, they were attracted to work that did not require proficiency in English. 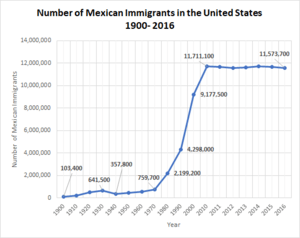 Industrial restructuring in the second half of the century put many Mexican Americans out of work in addition to people of other ethnic groups. Their industrial skills were not as useful in the changing economies of these areas. Hope Sandoval lead singer for Mazzy Star and Hope Sandoval & the Warm Inventions. Grew up in a Mexican American family in East Los Angeles, California. Susana Martinez, is the 31st and current Governor of New Mexico and current chairman of the Republican Governors Association. She is the first Hispanic woman to be elected governor. Jose Hernandez an engineer and a former NASA astronaut, assigned to the crew of Space Shuttle mission STS-128. He developed equipment for full-field digital mammography at Lawrence Livermore National Laboratory. Sidney M. Gutierrez former NASA Astronaut. Solly Smith, was the first world boxing champion of Hispanic descent. Ted Williams, baseball hall of famer, seventeen time All-Star and regarded as one of the greatest hitters in baseball history. Brenda Villa, U.S. Olympian and the most decorated athlete in the world of women’s water polo. A Quinceañera after a Catholic Mass, celebrating a daughter's 15th birthday, common amongst Mexican families. 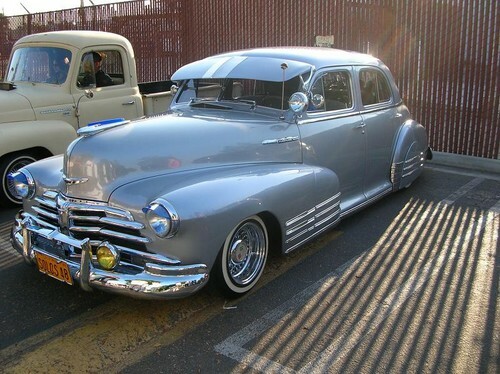 Lowrider it began in the Mexican-American Barrios of Los Angeles California in the mid-to-late 1940s and during the post-war prosperity of the 1950s. Initially, some youths would place sandbags in the trunk of their customized cars in order to create a lowered effect. Sal Castro was a Mexican-American educator and activist. He was most well known for his role in the 1968. See Walkout. Mexican American Facts for Kids. Kiddle Encyclopedia.